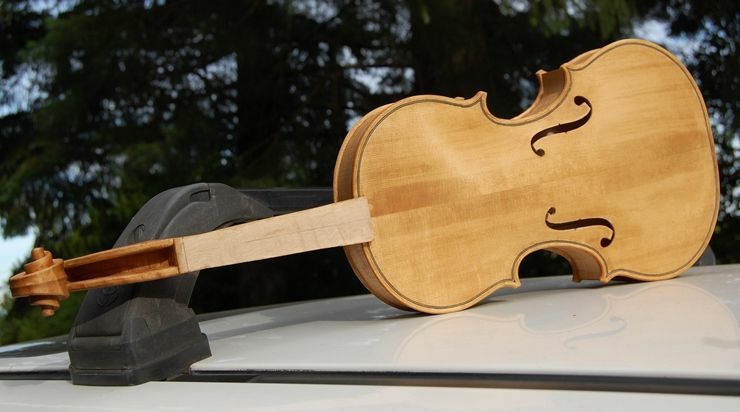 This is the one I mentioned in an earlier post that I hoped to have completed before beginning the commissioned fiddle. It is nearly complete: only varnishing and set-up left to do. He finally donated the wood and other supplies to me, with the request that it actually would become a fiddle. So…here it is, with the first seal-coat on, and drying in the sun, on top of my car. Five String Fiddle Front with first coat of sealer, drying in the sun. 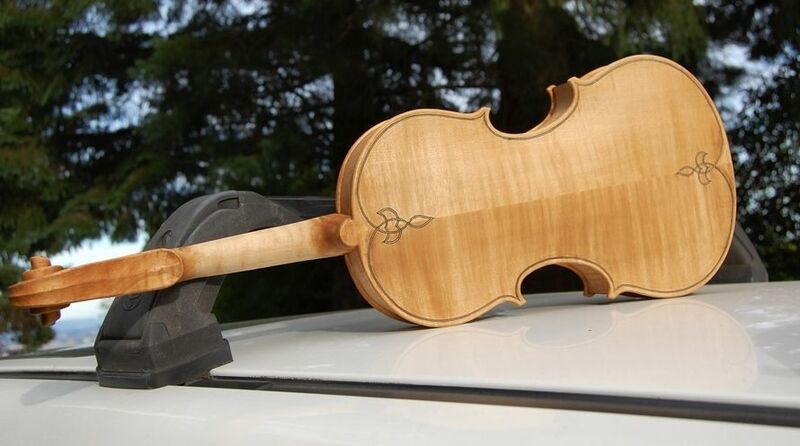 I expect that the flame in the maple will be more pronounced with the varnish in place, but it is a pretty nice-looking fiddle anyway, so I am not really anxious about the moderate flame. I wanted to get this done before my friend and his wife move away, later this month…but I am cutting it awfully close.